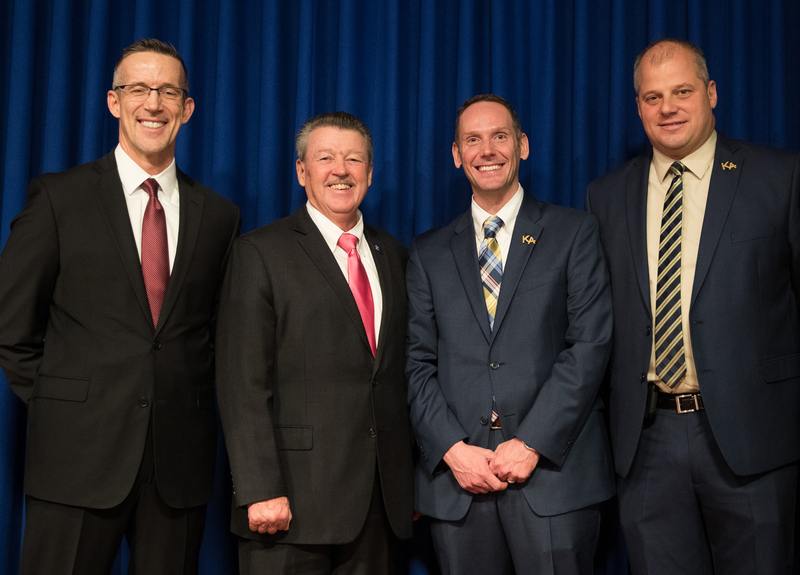 Pictured left to right Dr. Timothy P. Scott, superintendent Kiski Area School District; Sen. Brewster; Matthew Smith, assistant principal Kiski Area High School; Chad Roland, principal Kiski Area High School. Brewster, and the officials from KASD, participated in news conference with Gov. Tom Wolf to highlight the school’s participation in the College Readiness Program and its high test scores. 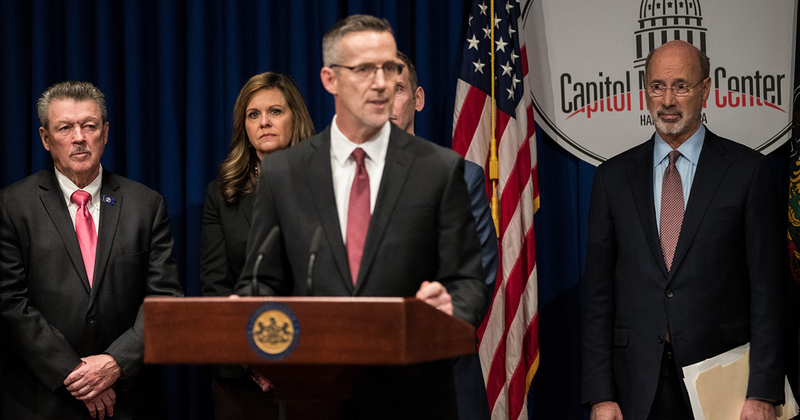 Harrisburg – December 12, 2017 – State Sen. Jim Brewster (D-Allegheny/Westmoreland), Gov. Tom Wolf, and Education Secretary Pedro Rivera helped recognize the achievement of the students from the Kiski Area High School as they increased their qualifying scores by 185 percent in AP math, science and English. Kiski’s improved score ranks among the highest in the nation, according to the National Math and Science Initiative (NMSI). In fact, it was among the top two schools in the country this year among those that had at least 50 qualifying scores in the 2015-16 school year. ExxonMobil and its subsidiary, XTO, partnered with NMSI to support and implement the College Readiness Program (CRP). As a result, early last year 14 Pennsylvania schools began implementing the CRP. Sen. Brewster, Dr. Timothy P. Scott, superintendent Kiski Area School District speaking, Gov. Tom Wolf at the Capitol news conference discussing Kiski’s success in improving STEM test scores. CRP includes training for teachers and staff, study sessions and additional resources. CRP helps students develop strength in science, technology, English and math. According to NMSI, the CRP has expanded to more than 1,000 schools in 34 states.